It all started with a missed bus. 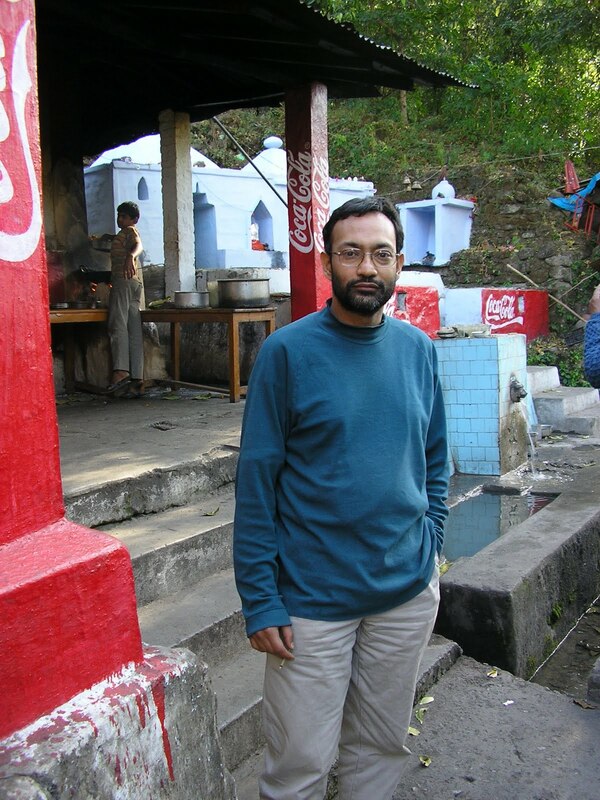 After some two weeks of deliberating, on February 28 2009, me and Priyo were finally out at the Anand Vihar ISBT, hoping to get one of the frequent- so we were told- buses to Almora. So we arrive bright and chirpy at 6 in the morning only to find that the bus had left at 5:45- and that there would be no other bus till the evening. While we were casting about at this unfortunate turn of events, the conductor of the Delhi-Nainital bus threw us a lifeline. Why not take the Nainital bus to Haldwani, and then take a bus to Almora in the afternoon? As the Nainital bus was just about to leave, we quickly boarded without any further invitation. Delhi to Haldwani, some 120 km, is a dead bore of a drive as the majority of that distance involves travelling through northern UP, which is nobody’s idea of a beautiful place. Well, in between the horrid towns there is enough to see- like lush green fields of winter crops waiting to be harvested- but mostly your senses are overburdened with massive political posters of all hue and ideology asking for your precious vote. Its interesting to see the scenery change gradually. The flat green lands of the Gangetic plain gradually change into the upper Terai forests once you cross the border into Uttarakhand. I must say though, that ‘developement’ makes the Gangetic plain pretty difficult to spot. When we did cross the Ganga over an ancient rickety bridge chock-a-block full of traffic, all I could think of was murder as all I could see was hideous over-construction choking the river. A few hours of somnambulist travel through the dust choked landscape the bus arrived at Moradabad. It got intensely crowded in Moradabad, almost like a cliche of people jostling with chicken, and for a while it turned into a inter-city public transport. Things started getting interesting after we crossed over into Uttarakhand at Rampur. 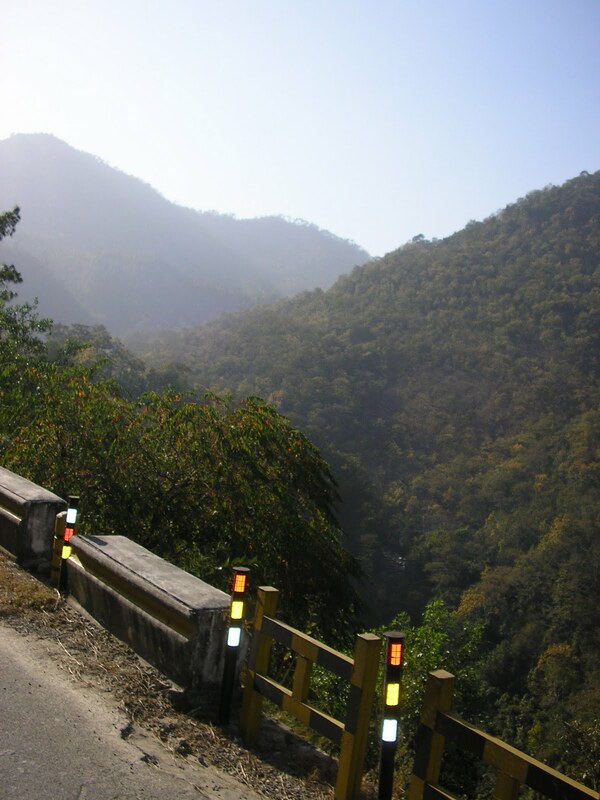 Between Rampur and Haldwani, lies a long stretch of beautiful forests. This is a common enough feature throughout the Terai region, which stretches all the way from Himachal Pradesh, across Nepal and upper West Bengal and Sikkim. Just before the Himalayan foothills begin, you’re bound to pass through an upper Terai jungle of some shape or size. The entire length is criss-crossed by a number of Himalayan rivers passing through to join the two main ones, Ganga and Yamuna. Sadly, this beautiful catchment area of the subcontinent is disappearing under the combined weight of human habitat and industry. Soon it was around two in the afternoon and I was getting antsy as there didn’t seem to be any sign of a hillock, let alone mountains. Then suddenly, hey presto, green, rolling foothills looming gently on the horizon! We were finally at Haldwani. 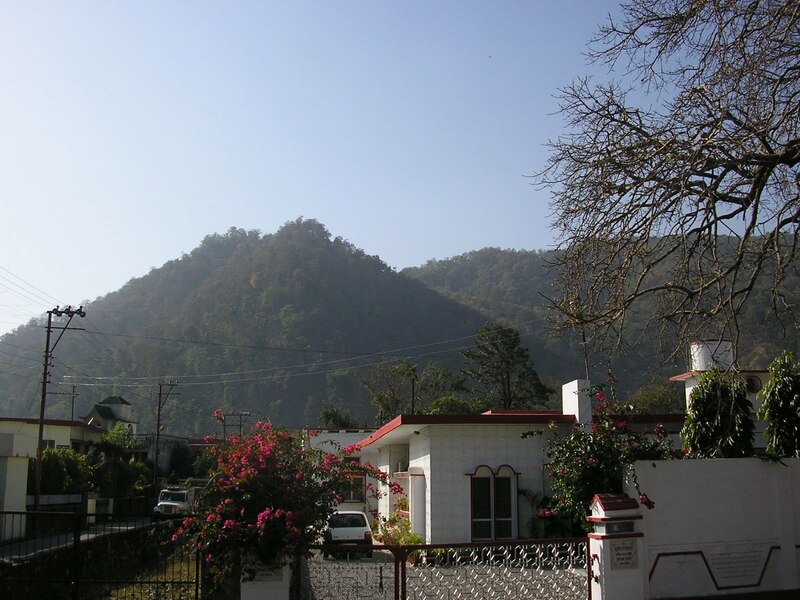 Haldwani is one of those entry-points into the mountains, like Dehradun and Rishikesh in the west, and Siliguri in the east, which are major transport hubs, as roads fan out from these places to other towns deeper in the hills. Priyo happily lit a biri to celebrate our successful journey to the half-way point while I went to the ticket counter to find a bus to Almora. Here the helpful Nainital conductor turned out to be a pretty clueless bloke. He insisted that Binsar is closer from Ranikhet than from Almora, and that we should try for a bus to Ranikhet instead. I consulted my handy Eicher road map (as well as the Nest & Wings state map) and found this claim impossible to believe. In this we were proved quite right. Everyone we asked at the bus stop was unanimous that Binsar is near Almora. 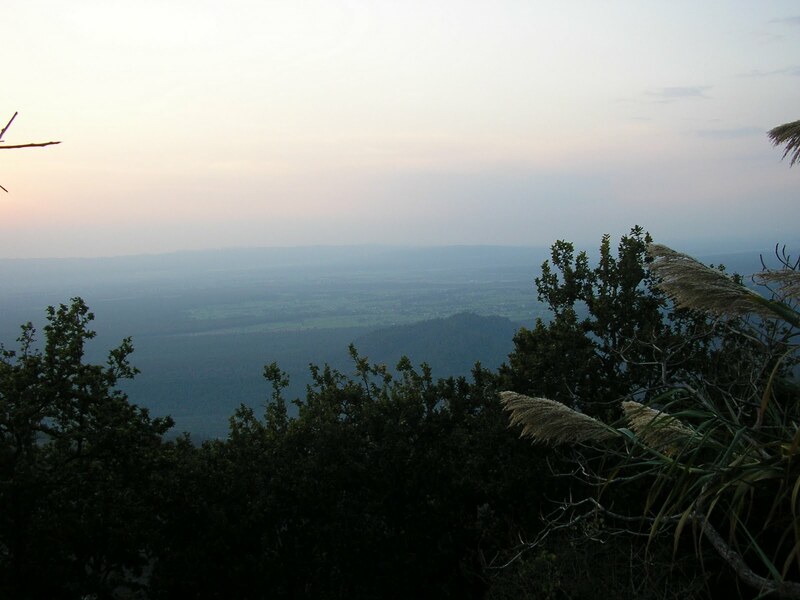 It was only later that I found out that there is indeed another Binsar near Ranikhet, called Binsar Mahadev, but by no stretch is it the Binsar. Tragedy threatened for the second time in the day when we were informed by an apologetic man in the Enquiry booth that the sole bus for Almora from Haldwani had left at 2:30 pm, and here we were, standing in the middle of a chaotic bus depot at 3 pm, wondering what to do. What we didn’t know at the time was that the man was referring to just State Transport buses. Some stray voices in the seething chaos helpfully informed us that the Delhi-Almora bus that we had missed in the morning had gotten delayed and had yet to reach Haldwani. So we rushed to the main road waiting for the mythic bus to appear, hoping against hope that we hadn’t missed it a second time. We were desperate to keep moving, reach at least Almora by the end of day. A cry went up and sure enough, there it was, disgorging passengers. Feeling quite happy with ourselves, we parked our relieved haunches on it and breathed a sigh of relief. Apart from the local Kumaonis, very few people actually travel the full distance from Delhi to Almora or from Delhi to Nainital by the morning bus. This suited us just fine, as the this one was just about half full with local families travelling between towns. Beyond Kathgodam- this is as far as the train line gets in the Kumaon- the road started climbing up the foot hills and I started grinning stupidly even as my spine started tingling with anticipation. My mind was screaming “ALTITUDE!” in big capital letters. The next couple of hours passed in a blur, with me hanging out of the bus window taking pictures, or just looking at the gorgeous views. Even the humblest of shacks in the Himalaya are transformed by the majestic backdrop. There were some 20 different places along the way which I thought would be perfect for my fantasy house in the hills. A happy dream. Winding up the deep, labyrinthine gorge of the Kosi, we finally started climbing the Almora ridge around 6, exactly 12 hours since we’d set out. The sun was setting behind some high ridges across the valley, and a dramatic sickle moon was starting its progress across the heavens. By the time the bus stopped at the Almora bus depot, it was already dark and we were debating whether to stay the night in Almora or try and get into Binsar. Priyo and I were both of the view that we should end the epic journey in Binsar itself, rather than waste the night at Almora. After fighting off a bunch of well-intentioned cab drivers, we got into the car of one Ramesh, who agreed to take us up for Rs 700, the standard rate. Very well narrated. Keep posting. We travel in these stretches at times. Roads have improved. Make another trip. You will feel better. Online Bus Ticket Booking. 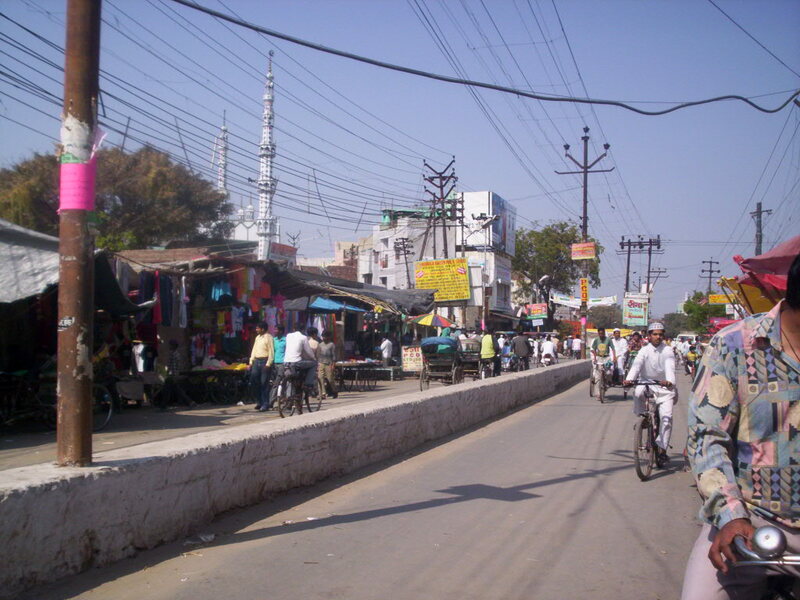 Haldwani is the second most populous city in uttarakhand, and is known as the "gateway of kumaon". In kumaoni, the local dialect, the place is called "halduvani", literally "forest (vana) of haldu", after the tree named "haldu", often referred to as "kadamb" (haldina cordifolia), which was found in abundance prior to deforestation for agriculture and settlement.